Martha’s Vineyard is one of the most popular spring and summer destinations in the Northeast and I’m thankful it’s the place I also call home. As a local, I wanted to share my top spots to grab breakfast when you’re on the Vineyard. 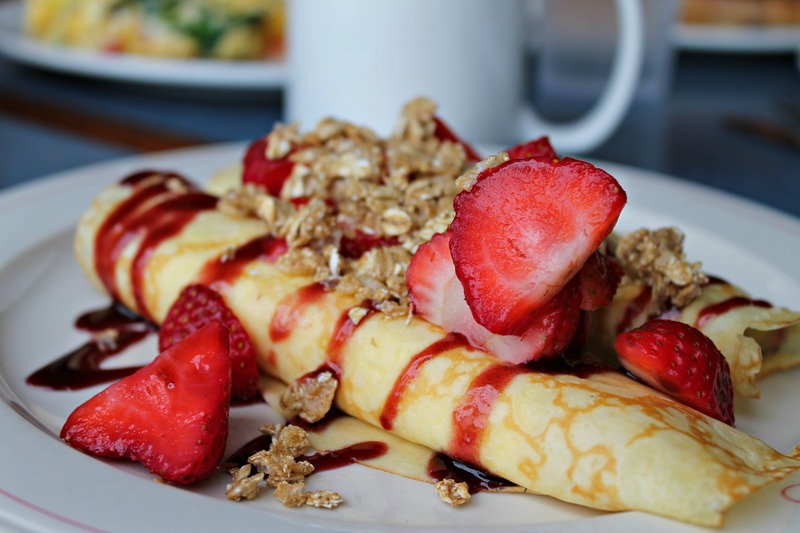 Everything from sweet crepes to savory egg dishes, we’re exploring all the options! Martha’s Vineyard, a small island of only 100 square miles, is located south of Cape Cod, which can be reached via ferry or plane from the mainland. Whether you arrive on the ferry from Woods Hole or fly from Boston Logan Airport, arriving on Martha’s Vineyard instantly puts you at ease. The vibe is relaxed and fun, perfect for families, friends, and couples looking to escape the world. And when we escape, we eat! If you’re looking for where to have breakfast on island, I’ve put together my list of top spots for early morning nosh – with six towns around the island, there are so many choices to pick from. These are all restaurants, diners, and cafes that I’ve visited in the past year and love. 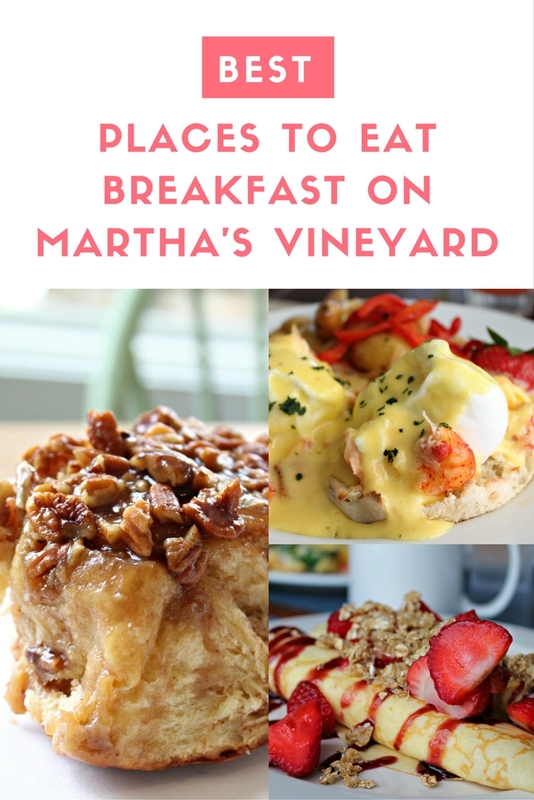 Without further ado, here are my best picks for breakfast on Martha’s Vineyard! The great thing about Beetlebung is that it’s not only breakfast, but it’s actually brunch! It’s the perfect spot to wake up to if you’re waking up a little later – maybe for a fun girl’s getaway trip that had a little too much fun the night before. 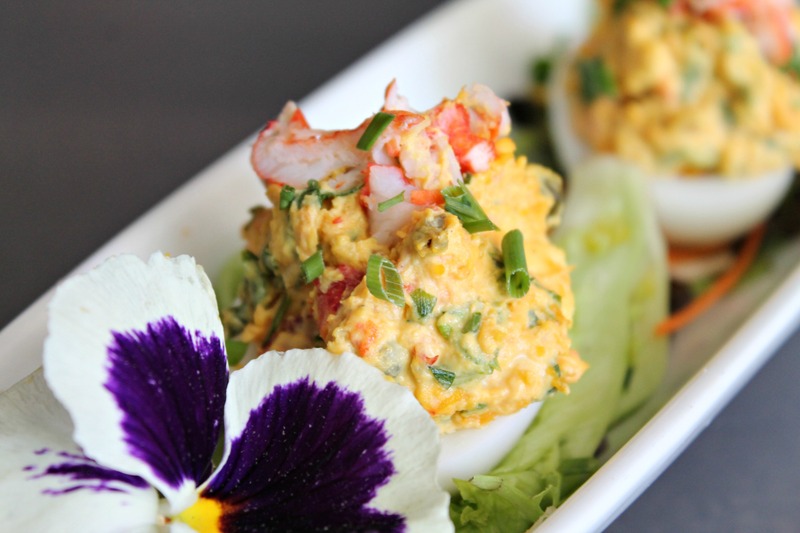 The Lobster Deviled Duck Eggs – organic duck eggs filled with deviled egg filling and packed with fresh lobster meat from Menemsha (up island fishing town). Order a couple orders of these – they’re that good. Biscuits is for when you’re craving a comfort breakfast – mostly Southern menu items (get their chicken and waffles, it’s to die for) along with classics like this crepes. Oh and the stuffed French toast that’s deep fried…you haven’t lived until you try it. Biscuits is located in Oak Bluffs and the lines are long, so get there early or knowing you’ll wait in line at least 20 minutes. It’s worth it – bring a coffee and wait in line! Every summer, Lucky Hank’s is our breakfast getaway spot. Friends and I meet up for endless cups of coffee and the best cod cakes and eggs on island – plus, their hash is my favorite because it’s a combination of sweet potatoes and regular potatoes and I adore that sweet/savory combination. Around Martha’s Vineyard you’ll find eggs on lobster claws or crab cakes, but these here, this cod cakes are hands down my favorite! So savory and served with fried eggs (or eggs however you want them) is just what you need. Sure, we love a lot of things at Humphrey’s but the main reason to make the trek to Vineyard Haven is to find this tucked bakery/sandwich shop and grab a warm sticky bun. It’s so good, sticky, the enriched dough just the perfect vessel for the nuts and caramel. Only thing is you have to plan ahead – these babies are only available Wednesdays starting at 9am and go quickly, so make sure to get there in time! This what what you can call a true hidden gem. R&B’s Eatery is in Edgartown, but tucked away where barely anyone notices it. Granted, it’s right next to one of the most popular package stores (liquor stores in New England), but barely do people take a second glance. It’s worth the second glance because it’s the perfect spot to grab an affordable breakfast on Martha’s Vineyard. Nothing is over $8, there’s plenty of parking (an issue in the summer), and Rick and Becky (R&B) are a fantastic duo of husband and wife team. 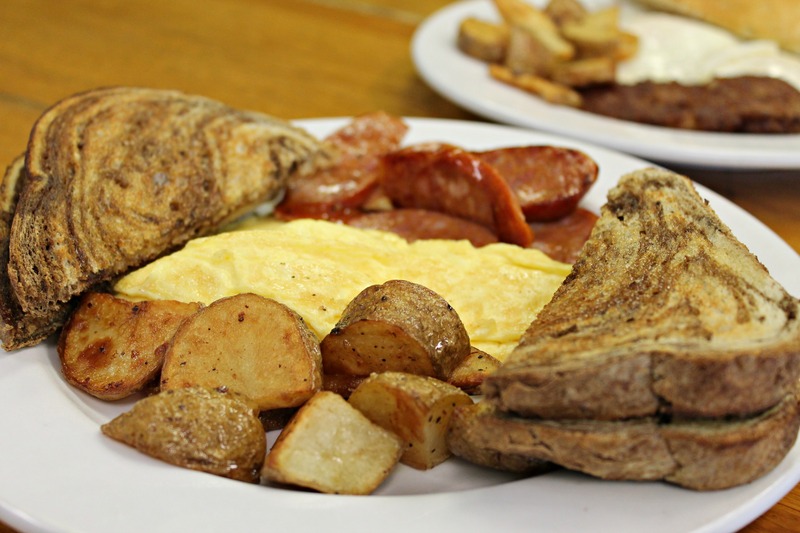 A traditional eggs, sausage, and toast – a great way to start your vacation on island. On island, unlike on the mainland, hotels tend to have fantastic food. A prime example is the Winnetu Resort in Katama, where The Dunes restaurant is located. Make reservations for breakfast here (or walk-in) and you’ll be greeted by a gorgeous view and a delicious menu with items like their lobster eggs Benedict. They also have a continental breakfast buffet with pancake/waffle bar, so it’s a great place to bring the entire family! The memories made at Right Fork Diner are memories that will last a lifetime. When you have breakfast here, it’s just a full experience. Located on the Katama Airfield, you’ll eat your eggs while watching the biplanes take off (you can book your own fun flight as well!). 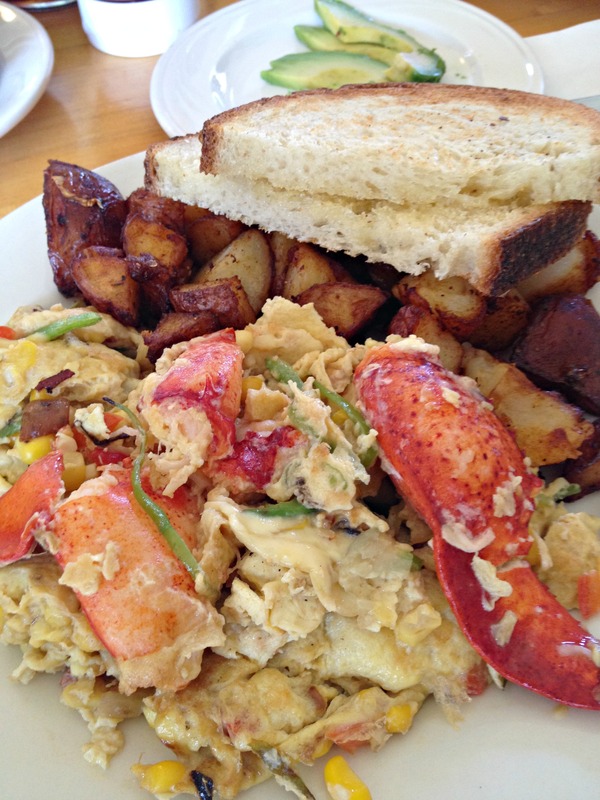 The eggs and lobster are casual yet so decadent. I go here when I want to relax and have some amazing eats – plus they do dinners during the summer, also a must have! Yes, I’m recommending a Mexican restaurant for breakfast, but I assure you it’s the best deal in town! Sharky’s Cantina in Edgartown serves all you can eat breakfast for $9.99 per person every day from mid-June through Labor Day. This gets you unlimited made to order scrambled eggs, bacon, sausage, chorizo, pancakes, tater tots, cornbread, yogurt, granola and fruit salad – so if you have a big family to feed on vacation, this is where you need to be. Everything comes out made to order and served family style (set at the center of the table for everyone to serve themselves) – a steal on Martha’s Vineyard for breakfast! 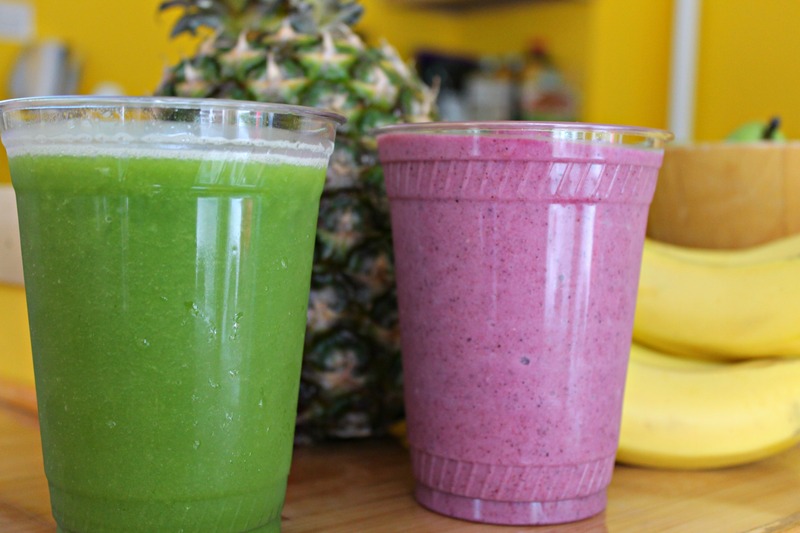 If you’re looking to start your morning with a lighter meal, Smooth Moves in Edgartown is a juice and smoothie bar that focuses on some delicious blends. Not only do I stop in for a morning green juice but if I’m feeling tired or coming down with something, they are my go to for a fresh shot of wheatgrass! No matter where you end of for breakfast on Martha’s Vineyard, just take it all in – the ambiance, the people, the happiness that surrounds you. The energy on this little New England island is unlike anything else you’ll ever experience, specially during the summer. So many places, but definitely love that spot! 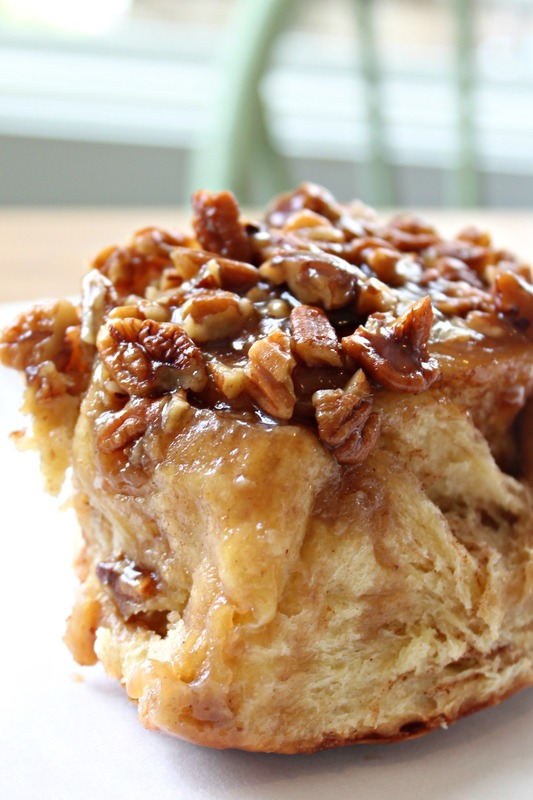 Those sticky buns make me want to rearrange our travel plans to try one! Great article! I look forward to seeing your blogs in my email. You have such great insight and writing style.